?????????????????????“tc”????“tc”???????????????????????????????????????????????????????????20?????????????????????????????????????????????tc?????????????????? 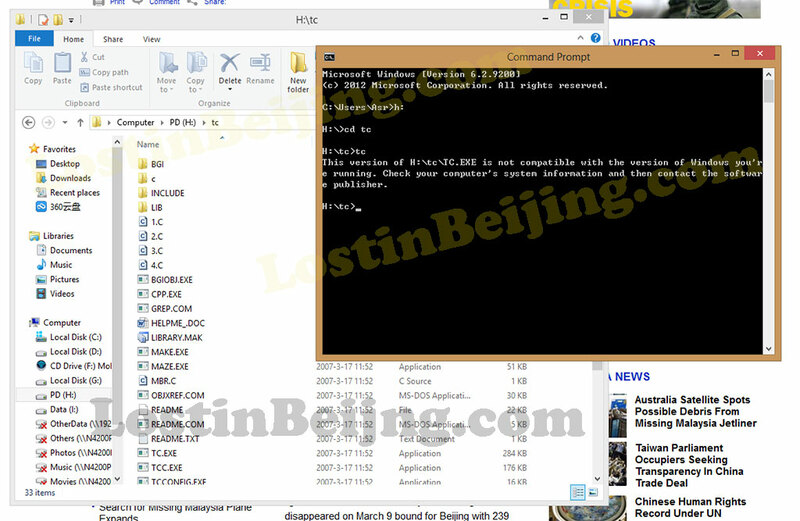 ?“This version of H:	cTC.EXE is not compatible with the version of Windows you’re running. Check your computer’s system information and then contact the software publisher.” ????????????????? ?“the version of DOS…”???????? ?“the version of Windows”??????????????? ?